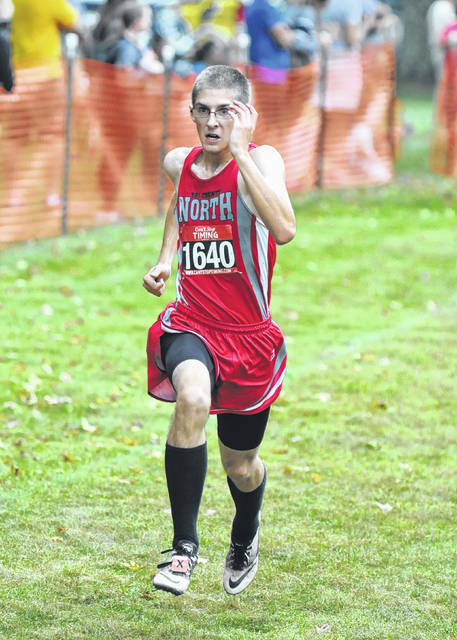 Tri-County North’s Brandon Smeltzer closes in on the finish line during the Eaton Invitational on Saturday, Sept. 15. 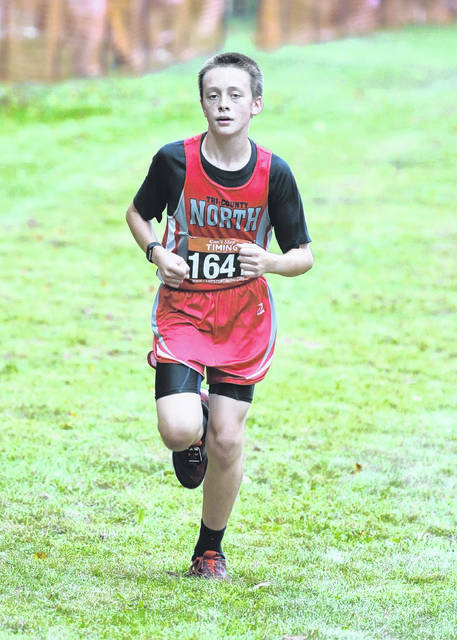 EATON — Tri-County North’s cross country team competed in the 48th Annual Eaton Invitational on Saturday, Sept. 15. 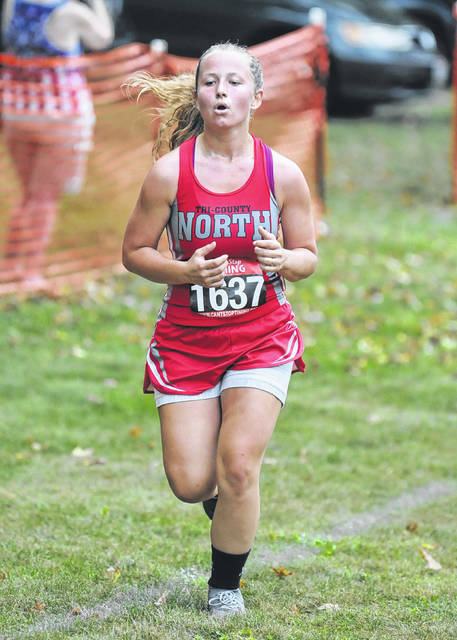 The Panthers girls team placed seventh, while the boys placed 10th in their respective Division III races. The girls finished with 174 points. Ft. Loramie was first with 19 points and Ft. Recovery was second with 58. 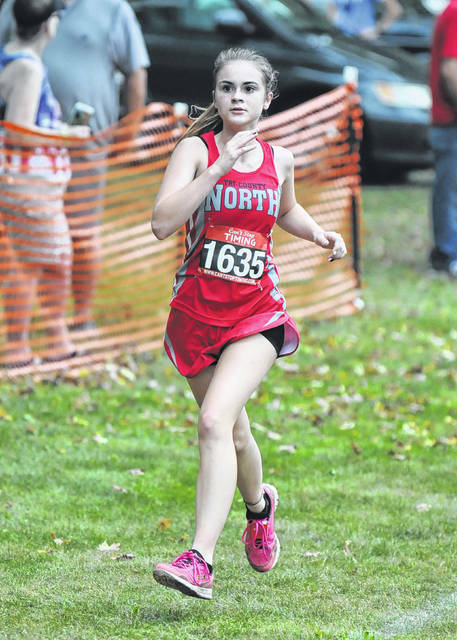 Addie Singleton finished 26th in 25 minutes to lead North. Abigail Smeltzer was 43rd in 28:22.2. 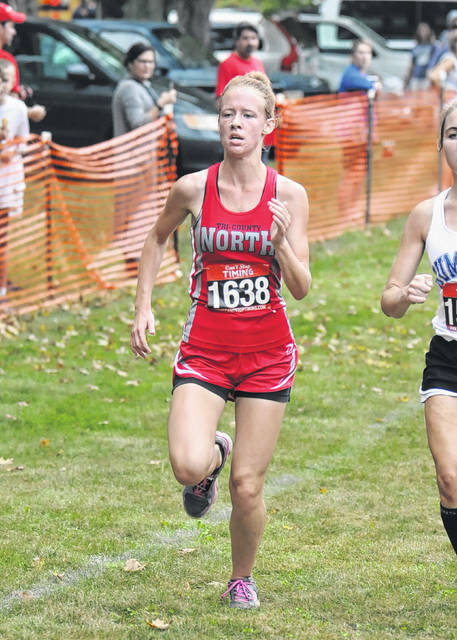 Caitlyn McCullough was 44th in 29:06.5. 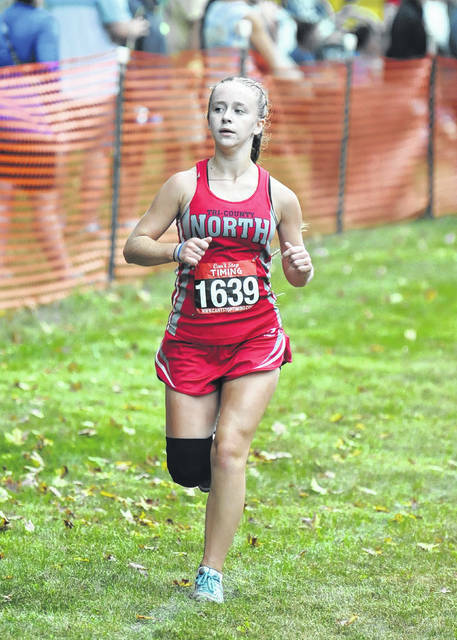 Kylie Cooper placed 46th in 29:55.7. Hailye Brumley was 47th in 30:01.7 and Julia Myers was 50th in 31:22.5. For the boys, the Panthers scored 233 points. Ft. Loramie was first with 25 points. Lincoln (Ind.) was second with 46. Brandon Smeltzer was 21st in 19:26.0. 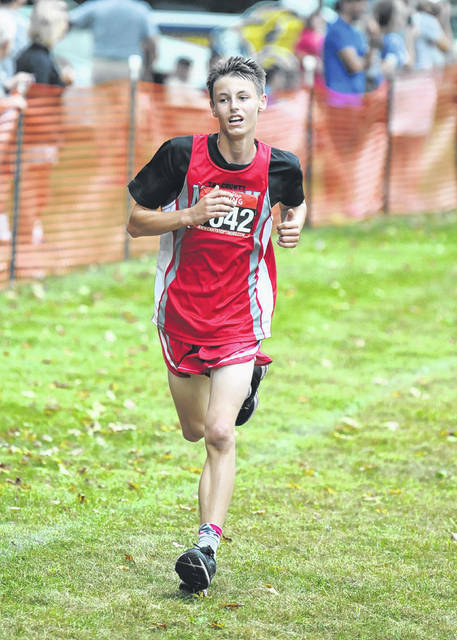 Ian Alexander was 38th in 20:44.4. 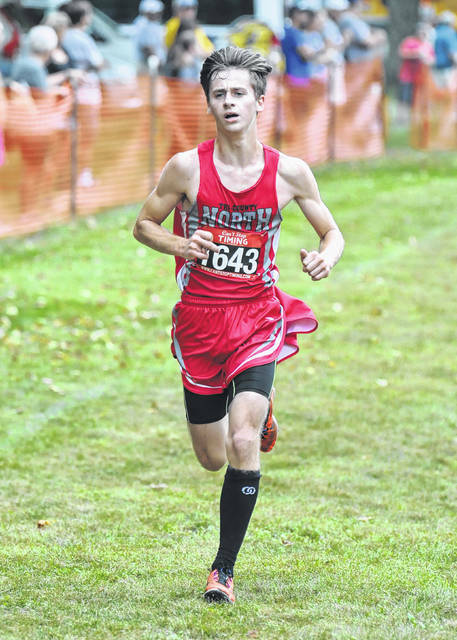 Robbie Quinn was 65th with a time of 23:23.8. 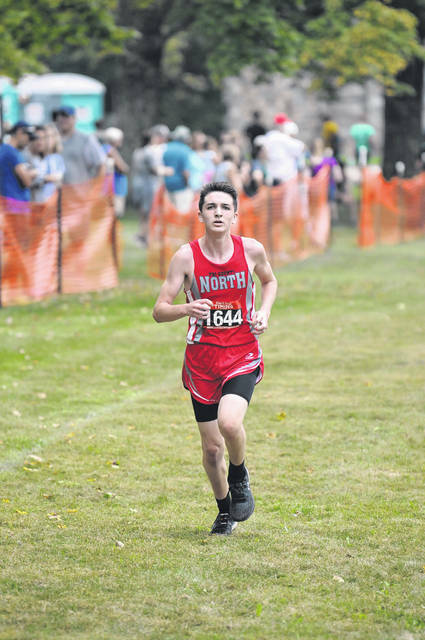 Hunter Pahl was 73rd with a time of 24:35.8 and Dakota Timmons was 74th in 24:47.7.
https://www.registerherald.com/wp-content/uploads/sites/41/2018/09/web1_tcncc5.jpgTri-County North’s Brandon Smeltzer closes in on the finish line during the Eaton Invitational on Saturday, Sept. 15.